Both the author and the photographer are valued contributors to The Land Report, and there’s no doubt in my mind that landowners from coast to coast will be able to identify with this book. So let’s begin by getting two misconceptions about this book off the table. First off, Working Dogs is not a tribute to hunting dogs. Yes, there are great chapters on curs and feists, pointers, retrievers, and the fearless breeds that track wild hogs. The authors even tail a pack of hounds that are bona fide man-hunters à la Paul Newman in Cool Hand Luke. But at its core, Working Dogs is about the countless ways man’s best friend has been bred and trained to serve different masters, which is why this book is such a compelling volume. 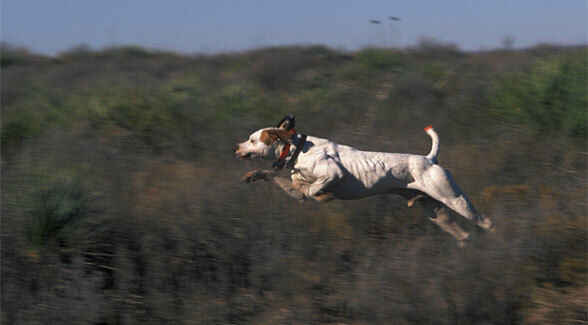 The second element that needs to be dismissed is that Working Dogs of Texas suffers from geographic limitations because of its focus on the Lone Star State. On the water, in the woods, on ranches and farms, and at border checkpoint and international airports – Chappell and Meinzer covered an enormous amount of terrain researching this compelling project. What a wonderful book! It is about time that our working Texan K9s got some real recognition! This is a wonderful book with beautiful photography and well written. 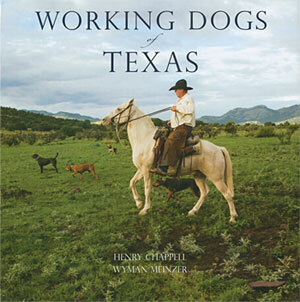 It has a wide variety of the different working dogs and how they perform. This book is great for that person who is a true lover of dogs and their abilities. It sits on my coffee table and is a delight to read and look at over and over again! !